Turkey needs to show goodwill in endorsing the PYD and discussing possible ways for collaboration in the fight against ISIS. The PYD is currently the only force on the ground that can defeat ISIS in the north of Syria. Over the past few days Turkey began shelling the military wing of the Syrian Kurdish Democratic Union Party (PYD), the People’s Protections Units (YPG), in a dramatic attempt to stop its expansion from the area of Afrin further east to Azaz. Turkish authorities claim that this attack was in retaliation for a “PYD/PKK” joint attack against the Akcabaglar base in the Turkish province of Kilis. At the same time however, the Turkish government and the Turkish Prime Minister, Ahmet Davutoglu, demanded the PYD forces retreat from the Menagh military airbase close to Azaz in Syria that they had seized few days before. Whatever the exact circumstances of the incident, it is evident that Turkey is not responding only to an alleged attack, but it has now started acting on its threats against the YPG’s advancement on the Azaz – Jarablus borderline, which is mainly controlled by the Islamic State of Iraq and Syria (ISIS), with the exception of a small stretch of land around Azaz and Tal Rifaat. This relatively small area constitutes the main lifeline between Turkey and opposition forces that fight Assad with Turkey’s support. Characteristically, the Turkish Deputy Prime Minister Yalcin Akdogan stated, “The advances of the PYD towards Azaz and the exertion of direct pressure on Aleppo and Tal Rifaat is not something that can be tolerated. The opposition is already there and the regime forces and Russia’s collaborators have cut off the lines in the north of Halep. This is a grave situation in its own right.” The Syrian Kurdish forces aspire to push ISIS out of the Azaz – Jarablus borderline to connect the Syrian Kurdish enclave of Afrin with the rest of Rojava. In case this occurs, Turkey would have to find a modus vivendi with the PYD in northern Syria despite its policy of treating PYD as a terrorist organisation. At the same time, the AKP leadership feels desperate and powerless in the face of Russia’s catalytic military support to the Assad regime, which has turned the tide of the civil war in Syria. The opposition groups that Turkey has been supporting in the north against Assad are in full retreat squeezed between ISIS in the east and Assad forces in the south, and now the Syrian Kurds to the west. The looming defeat of the opposition forces in the north is a call for the Turkish leadership to reconsider the internal contradictions and weaknesses of its Syrian policy. The AKP government has been advocating and pursuing the removal of Assad, the defeat of ISIS and the isolation and weakening of the PYD. These three strategic aims are in full contradiction to one another if one considers the realities on the ground. These parallel objectives highlight how Turkey has avoided systematic prioritisation. Hence, if Turkey opts mainly for removing Assad, this would require its aims to converge with the military and diplomatic efforts of the US – especially now that there are ongoing negotiations between the US and Russia for a ceasefire in Syria. These preliminary negotiations will prepare the ground for further deliberations between the US and Russia on the political future of Syria, including that of Assad. However, as long as ISIS is not defeated or at least contained in small enclaves inside Syria, serious discussions for the political future of Syria cannot commence and Assad and his allies will continue to promote the image of the Syrian regime as the lesser evil. Towards that end, Turkey would need to show goodwill in endorsing the PYD and discussing possible ways for collaboration in its fight against ISIS. 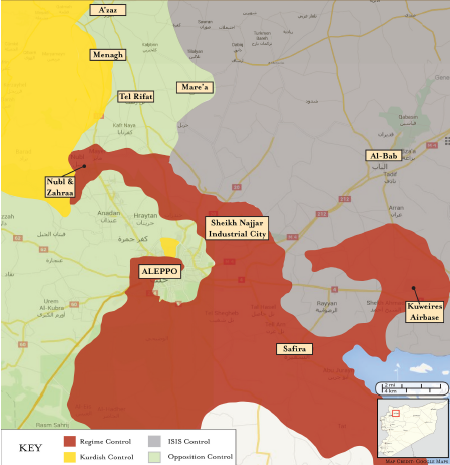 It is only the PYD at the moment that can effectively root out ISIS from the north of Syria. Certainly the close relations between the PYD and the PKK would require that Turkey revives the internal peace process with the Kurds. It is a delicate and difficult process that would require the investment of political capital domestically to put an end to the militarisation of the Kurdish problem in Turkey. If, instead, Turkey considers the PYD to be the major threat and its foremost objective is to weaken its role in the area, then it may end up resorting to strengthening PYD’s arch rival, ISIS. This would move Turkey away from supporting anti-ISIS efforts and it would risk becoming a pariah state in Western circles. If, however, Turkey wants to act on both of its strategic objectives, ISIS and the PYD, then it would have to intervene militarily in the north of Syria in order to achieve its goals. It suffices to say that the US and NATO member states do not support any boots on the ground in Syria, let alone Turkey sending troops by itself. If Turkey were to consider such an option, it would then risk a war with Russia in a third country’s soil that would make it impossible for Turkey to invoke Article 5 of the North Atlantic Treaty. It is clearly stipulated in Article 6 of the NATO treaty that “For the purpose of Article 5 an armed attack on one or more of the Parties is deemed to include an armed attack on the territory of any of the Parties in Europe or North America, on the Algerian departments of France, on the occupation forces of any Party in Europe, on the islands under the jurisdiction of any Parties in the North Atlantic area north of the Tropic of Cancer or on the vessels or aircraft in this area of any of the Parties.” Thus, an attack on Syrian soil cannot be considered for the activation of Article 5 of the North Atlantic Treaty. All in all, the AKP leadership has few options at its disposal and needs to clarify its strategic objectives for Syria taking into account the realities on the ground. Turkey also needs to take into account that the US and Russia have begun a process through which they intend to control the endgame in Syria. The main question for the AKP leadership then should be how chasing chimeras – or impossible objectives – in Syria actually serves Turkey’s interests? Article Citation: Athanasios M. (2016) Chasing Chimeras in Syria: Turkey’s PYD Gamble, MERI Policy Brief. 2016, vol. 3, no. 3.